If you were you wondering what that amaaaazingly flashy lip color Katy Perry was wearing during her performance at the Grammy's was well wonder no more :) It's Glitzy Lips Lip Foil in the shade Pink Couture. One thing I absolutely love doing is is trying new things in Makeup. The more quirky and bizarre the better! Glitzy Lips is the latest innovative product to grace the lip art world by taking the concept of nail decoration to the lips. The foils can also be used on other parts of the body, applied to nails, and mixed & matched. 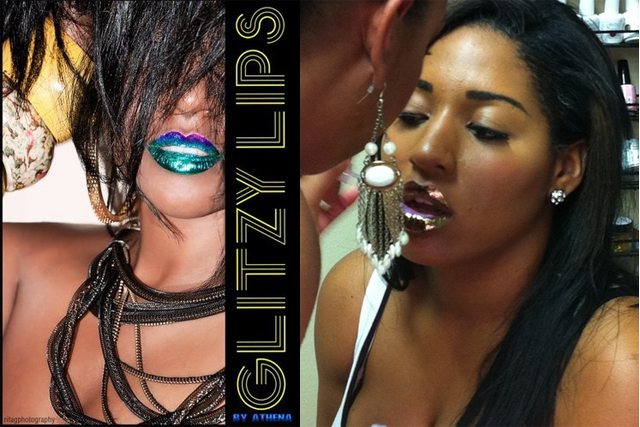 The kit ($29.99) contains foil (available in 10 different shades) for 20-25 uses and 1/4oz Glitzystick. 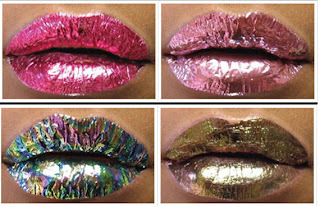 Unlike lip tattoo's, you apply this by painting adhesive on to the lips and then pressing the lips on to the foil allowing it to transfer. I applied LIT Twisted Sister Glitter, a medium purple, on to the areas I missed and around the lip line to give it a more even application. If any of you are having trouble with the foils like myself, a little glitter or shimmery gloss can fill in the gaps and fix the flaws. 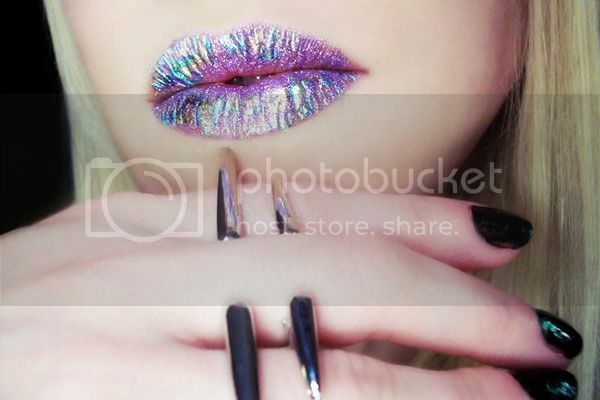 While it's not a completely foiled lip, I think the glitter combo meshes with it well. 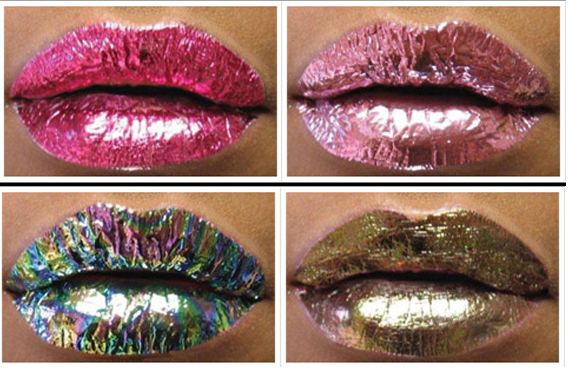 If you want to try Glitzy Lips for yourself I'd recommend going with the red or pink foils first. It won't be as noticeable if it's not completely even and you can fix it with a similar shade of lip color. I'm totally bummed I couldn't get these to work! I would've loved to have added them to my kit for future projects. 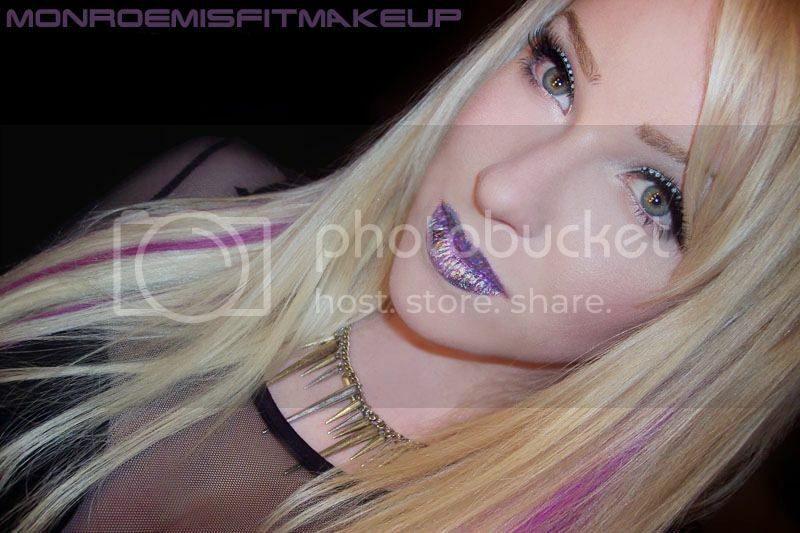 The foiled look is mega cool and I could see them glitzing up photo shoots, music videos, stage, or worn out to club night's. But to me it's just too much of a hassle for something that may or may not come out well. 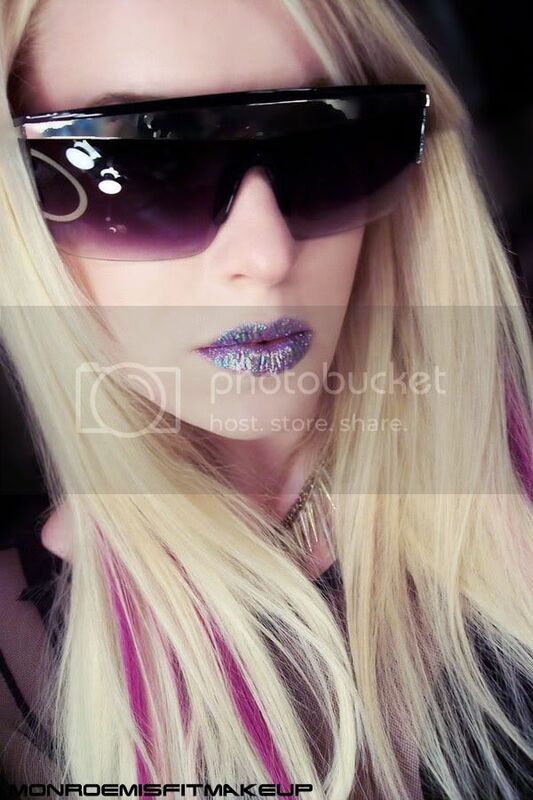 Blue Lips ...Crazy Cool or too Ke$ha?